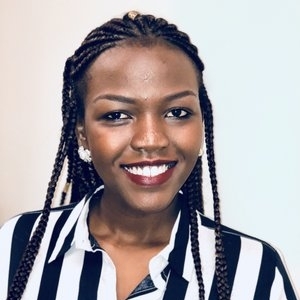 Edna was a Delegate for the 2018 International Congress of Youth Voices. Edna Akimana runs a blog called "Imprint on My Heart," and her writing has been featured in various publications published by The Telling Room, a Portland, Maine, youth writing organization. She has been published in collections such as A Season for Building Houses and The Guidebook for New Mainers, a partnership with Deering High School. Below is an excerpt from one of her essays. Sometimes I do feel strong, responsible, but there are times when I feel not strong enough to do everything by myself in the middle of a hard situation. But when I think about my past I get the energy and confidence to continue. I wish that we as immigrants were all lucky, that we could all have the chance to continue our studies like others instead of hearing that we are not eligible for this and that, and seeing those who have the opportunity to do that stop at a High School diploma when they have a chance to get financial aid for college. I wish we had parents who had good jobs, that we had grown with peace and justice in our home countries. Maybe some of us will not end up by being depressed, by living with worry all the time. Yes, this is how life is; one day you smile, another you cry. But still you have dreams. Each day you have a chance. You hope, hope and hope that the shape of things, of your own life, will come.